When given the opportunity, we love to connect with families. It is hard to know everything our customers are going through following the death of their loved one. Often, we can only imagine the profound loss they are experiencing. When communicating with customers, we just allow that space to unfold how it needs to for those in mourning. Sometimes there is no communication beyond the email order, and that's certainly understandable. However, other times we have the chance to connect and collaborate ideas with the customer....we truly value these opportunities. It touches our hearts deeply when we can learn more about who the YURN is remembering. Recently, we had a wonderful experience getting to know more about Mark through his wife Diane. 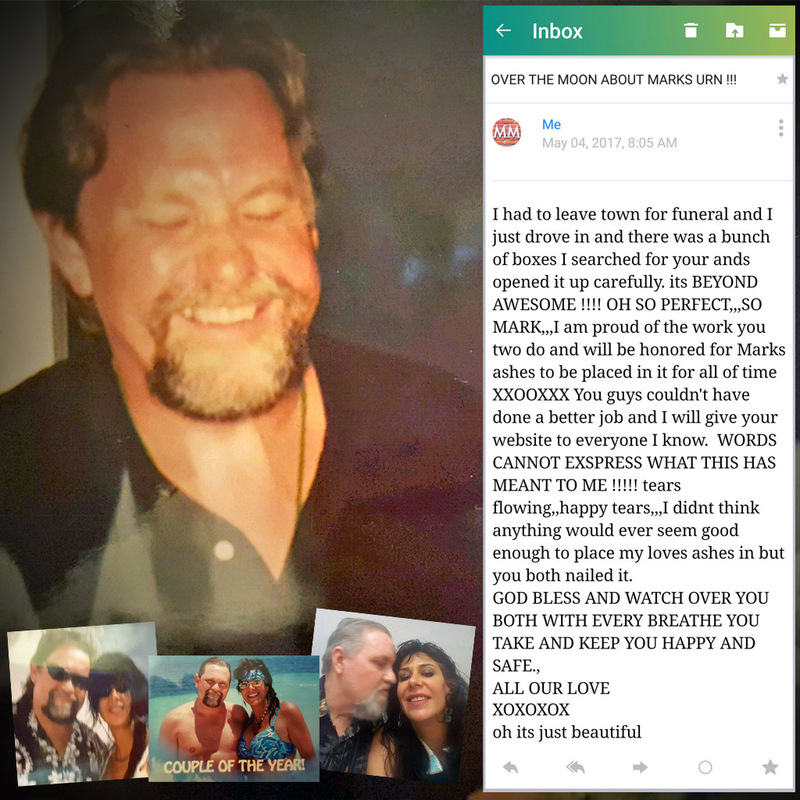 She shared photos and opened up to us about the great health challenges he experienced preceding his death....she told us about their 30 year relationship, his love for music, their travels together, their devotion to fostering hundreds of pets through the years, and how she loved to make him laugh. She wanted his guitar YURN to be a perfect expression of him and her love for him. 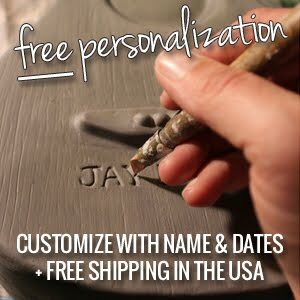 We shared with her the different personalizations we could do to make it a unique and special piece. 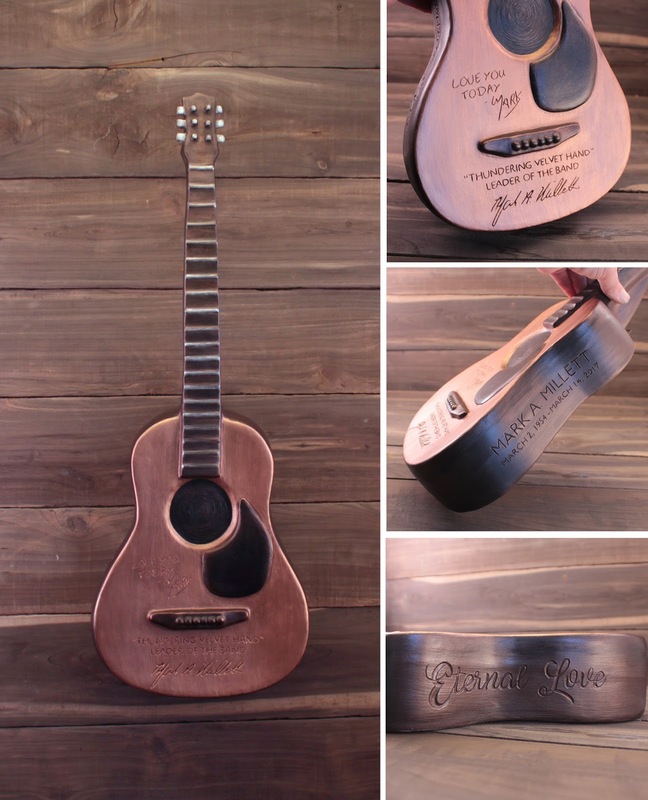 We added a handwritten note with his frequent "Love you today" sentiment to her...a line from his favorite song along with his signature...her "Eternal Love" expression for him...his name and dates....and even painted it to match his favorite Martin guitar. To be of service to her is a blessing to us. 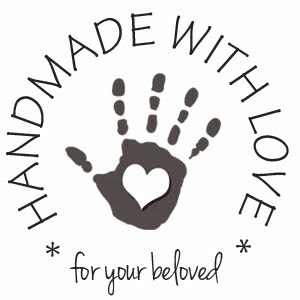 These opportunities to touch each others lives in a loving and heartfelt way is what it's all about, and we'll remember this connection always.